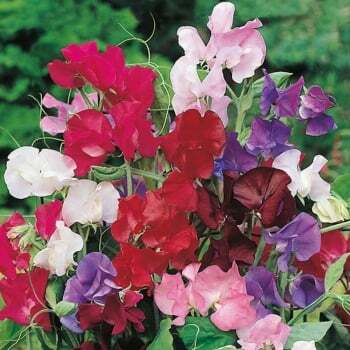 These Mr. Fothergill's Sweet Pea Bouquet Mixed seeds from Ruddick Garden Gifts are vigorous growers and will get to 6ft in height. These beautiful scented, large, bright blooms grow on sturdy stems and are great for cut flowers. Average of 25 seeds per pack.